Chelsea now sit in third place on the Premier League table, following a 2-0 win over West Ham on Monday. 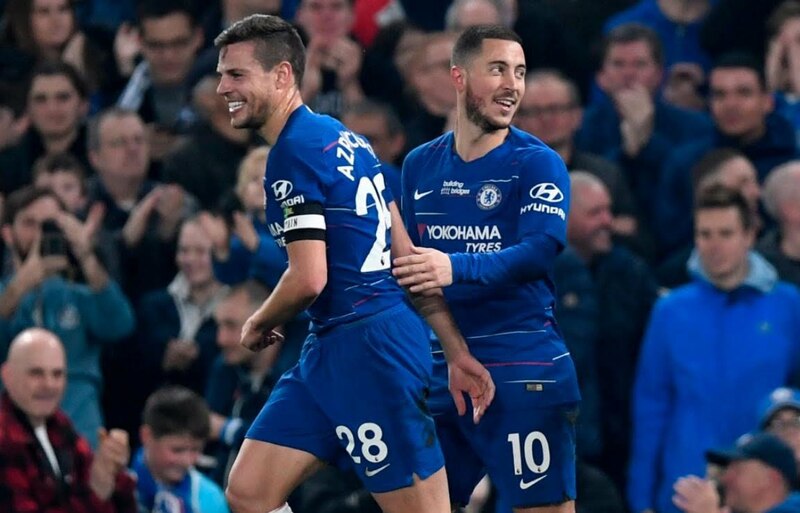 Eden Hazard decided the London Derby, with a dazzling solo goal in the first half, before adding a late second. The victory takes the Blues up to 66 points, two more than Tottenham Hotspur who are in fourth place. Chelsea also have three more points than Arsenal, who lost 1-0 to Everton on Sunday. They have however played one more game than both rivals. Maurizio Sarri’s men take on Liverpool in their next league fixture on Sunday.